Diego Gutierrez works collaboratively with his clients to understand and bring alive their ultimate architectural vision for living and work spaces. To each of his projects, he brings the principles of sustainable design, green construction and environmental awareness, and the results of his work are found throughout the Berkshires and Great Barrington, Mass., nearby New York state, and Northwestern Connecticut. Born in Bogota, Colombia, he immigrated to New York City at age of nine, attended high school in Manhattan, and graduated in 1987 from Pratt Institute in Brooklyn, NY, with a Bachelor in Architecture. 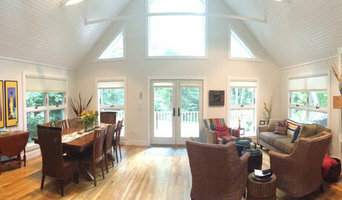 He worked for various architectural firms in New York until moving to the Berkshires in 2000. 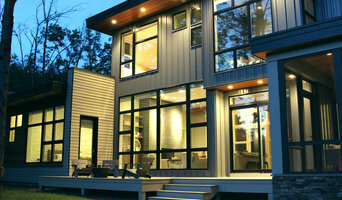 Now in his own practice, he works on a wide range of residential and commercial projects in the tri-state area. Diego’s love of architecture extends to education: he teaches children about the art and science of architecture through various design workshops at local schools, libraries and community centers. His workshops have been funded partly through grants from the Berkshire Taconic Foundation and the Boston Foundation for Architecture. He is also on staff at Flying Cloud Institute, a year-round educational arts and sciences camp serving children and teens. Diego lives in Housatonic, Massachusetts, a village in the Town of Great Barrington. He has been a member of various local committees, including the Energy Committee, which was instrumental in gaining state designation for Great Barrington as a “Green Community.” He has been a member of the Steering Committee of Friends of the Great Barrington Libraries, an all volunteer group dedicated to supporting and promoting the libraries in Great Barrington. He is assisting the Parks Committee of Great Barrington in developing a Master Plan for the Housatonic Village Green. Lake George Architecture and Design Best of Houzz 2015, 2017 & 2018! ALDRIDGE ATELIER's design philosophy blends a minimalist sensibility with a classical sense of composition and proportion. The resulting products are contemporary and classical. Everything we do is designed in-house by our select, passionate team with the goal of creating a special, memorable experience for the discerning individual. We draw on a depth of knowledge and expertise built up over many years working on high-profile traditional and luxury projects such as Kate Spade, the Royal Albert Hall, Wimbledon, and the British Museum. 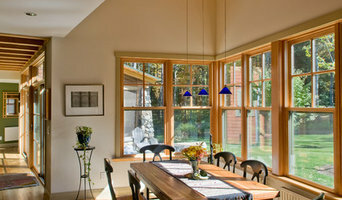 Full-Service Custom Home Building, Architectural Design, Civil Design/Site Planning, Genuine Timber Framing (Post and Beam)of Houses and Barns (New Construction, Restoration, and Preservation) Berkshire Mountain Design Build offers the most unique and timeless character in residential building. We incorporate locally and site-sourced materials that typically influence the design process while using the highest level of old-world craftsmanship and standards and the most cutting-edge energy efficiency and building system technologies of our time. We create buildings to be enjoyed and prized for generations. From the very beginning stages of the site and architectural design process to the very completion of every project, Berkshire Mountain Design Build takes pride and every responsibility to deliver the best possible building experience and buildings. This is our passion. As a Design Build and Home Building company, we are able to streamline the design and building processes for our clients thus reducing costs, timelines, and the frustrations and inefficiencies common to many projects with many disparate parties. Educated in Architectural Design, Architectural Engineering, Site Planning, Building Construction, Finish Carpentry, and Timber Framing, we have the full-scope of skills and experience to design, engineer and build your home to the highest standards using the best technologies, materials, and methods. Our quality-minded team is proud to have decades of experience through a broad range of projects and a great relationship and reputation with all of our clients.